You'll feel more powerful than a locomotive every time you grab a cookie out of this Superman: The Animated Series Logo Cookie Jar! 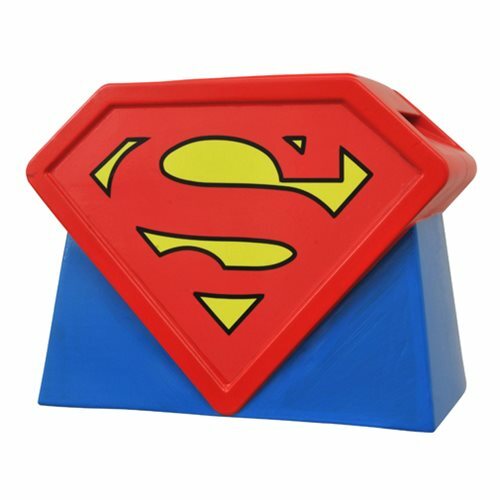 Measuring approximately 8 1/2-inches tall and 11-inches wide, this ceramic cookie jar has a removable lid and holds plenty of your favorite Kryptonian treats. Cookie jar comes packaged in a full-color box. Ages 13 and up.